Despite being by Derby winner Sir Percy out of a Sadler’s Wells mare, and being trained by the most successful trainer in the history of British horse racing, Mark Johnston, Gemologist has shown only limited signs of ability, at least so far. 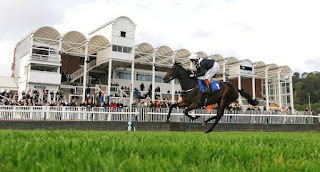 However, the Double Delight Hat-Trick Heaven at Totesport.com Handicap (6.45) at Chelmsford on Tuesday evening is scraping the bottom of the barrel, in terms of quality, so, with the step up to 1 mile 5 furlongs and 66 yards seeming in her favour, the filly may yet be seen in better light. She returns from a 215-day break and her two previous efforts at the Essex track, albeit over 1 mile 2 furlongs, were moderate at best. On the most recent occasion, in March, she finished sixth of eight, beaten 8¼ lengths, after finding no extra in the closing stages, but that was in a 0-65 affair, off a handicap mark of 62. Notwithstanding the step up in distance, here she contests a lowly 0-50 handicap, off a handicap mark fully 12lb lower, so it would be no real surprise if she showed improved form on her return to action. Indeed, apprentice Andrew Breslin takes off another 5lb, so I suspect that – despite her illustrious pedigree – without a forward showing in the company, her days at Middleham Moor may be limited. Let’s hope, for all concerned, that she turns out to be the proverbial “diamond in the rough”. November Handicap Raceday at Doncaster on Saturday officially brings down the curtain on the Flat season, but there is no shortage of runners at Nottingham on Wednesday and the Bet at RacingUK.com Handicap (3.20), for which 17 runners are declared, provides us with an opportunity for a midweek tilt at the ring. One or two of those with recent winning form may be better suited by softer ground and/or a sharper track, but one who should be perfectly at home over a galloping five furlongs on the prevailing good going is the topweight Secret Potion. Ronald Harris’ four-year-old has been raised 6lb in the weights for winning a similar race on the Tapeta surface at Wolverhampton eight days ago, by just a head, but the pick of his turf form, this season and last, suggests he’s far from impossibly handicapped. Notwithstanding a poor effort at Brighton three starts ago, the son of Stimulation, from the family of top-class sprinter Choisir, has been in fair form since returning from a 71-day break at Lingfield in August. His third of 17, beaten 1¾ lengths, behind Our Oyster Catcher – who runs in the 2.50 at Nottingham on Wednesday – in a 0-70 contest at Bath on his penultimate start was a particularly strong effort in the context of this race. Champion apprentice-elect, Jason Watson, who has a 2-8 (25%) strike rate for the yard, for a level stakes profit of 11.50 points, takes the ride for the first time, which provides cause for optimism.